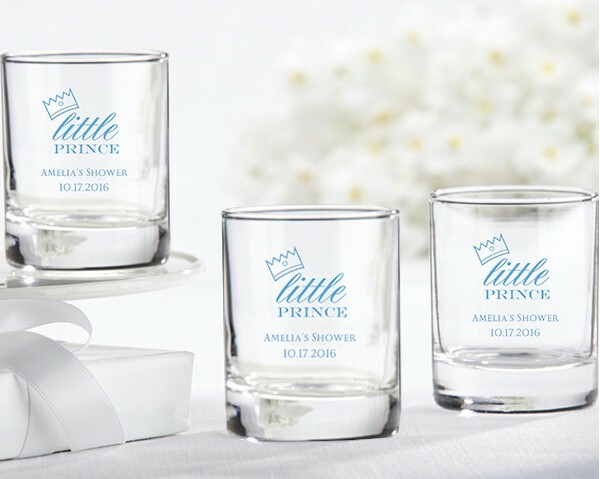 Our personalized Little Prince shot glass favors are perfect to celebrate your new baby boys! 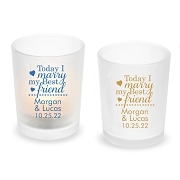 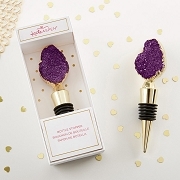 These tiny glasses pull double duty and can be used as either a shot glass or an adorable votive holder. 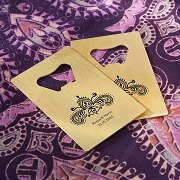 Turn up the custom factor a notch by printing you little prince's name or birth date right on the glass.